This is a comprehensive agreement suitable for the appointment of a wide range of professional consultants – architect, structural engineer, quantity surveyor, services engineer, landscape consultant etc. There are four schedules to be completed, detailing the description of the project and client’s appointment brief, detailed services, fees and a form of collateral warranty deed. 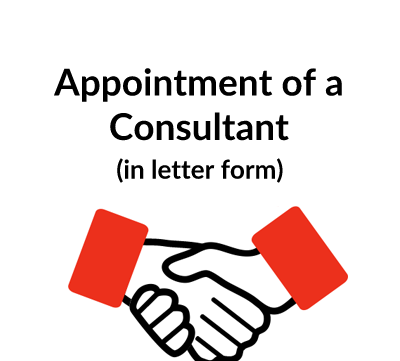 You need this document if you want to undertake a development and appoint a consultant. It can be used for a wide range of professional consultants – architect, quantity surveyor, structural engineer, landscape architect, etc. This form of appointment is designed for use by anyone proposing to undertake a development and the type of development can vary from a modest building to an office block or a shopping mall. Our appointment is a generic form which can be used for a wide range of professional consultants – architect, quantity surveyor, structural engineer, landscape architect, etc. 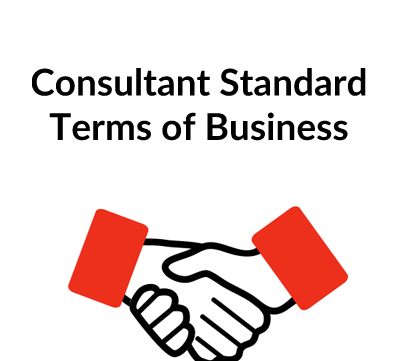 There is a clear advantage for a client in having his various consultants appointed on essentially the same terms and conditions: those consultants will interact with one another, and while the services and the payment arrangements will be different for each consultant, for administrative reasons, it is far preferable to have essentially the same terms and conditions. In practice, unless the client puts forward his own form of appointment, he is likely to find that he has widely differing forms of appointment with his different consultants and most of those are likely to be biased in favour of the consultant. This is because in the UK and, indeed, many other countries, professional consultants will frequently put forward terms and conditions which have been developed by their own professional organisation. 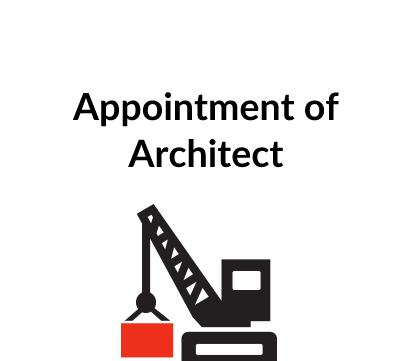 In the UK, for example, the RIBA (Royal Institution of British Architects) have a number of forms for the appointment of an architect and the Association of Consulting Engineers (ACE) has forms for the appointment of engineers. While those forms are useful, a reference point for the actual services which the professional consultant will provide, the terms and conditions are drafted to favour the consultant and to limit his liability to the client. There is also little coordination between the professional organisations so the terms vary from one consultant discipline to another. Our appointment is fairly balanced in terms of risk and liability as between the client and consultant. This clause defines certain key terms which are used in the Agreement. This clause establishes the appointment of the consultant and the nature of the appointment – architect, quantity surveyor etc – needs to be inserted. Quite often a consultant will be providing services to his client before any formal appointment is entered into. Our wording is intended to cater for this by saying that the appointment commences either on a specified date or when the services are first provided. As for the termination of the appointment, unless it is brought to an end early, again it is unusual to have a specific expiry or termination date. Our wording makes it clear that even if the appointment comes to an end, there are residual liabilities on the consultant – in particular any defect in the services may mean that the consultant still has a liability as long as 12 years after the work is completed (if the appointment is entered into as a “deed” under English law). If it is merely signed as an agreement the limitation period will be 6 years. Clause 4.1 states that the actual services to be provided by the consultant are to be listed in a Schedule. Clause 4.2 contains the usual standard of skill and care which applies to consultant appointments in England. Clause 4.3 makes it clear that the client has the authority to give directions to the consultant (although these are to be “reasonable”). Clause 4.4 highlights some of the duties to be expected of the consultant. As will be seen, these include provision of designs and other data in good time so as not to cause any delays to the project; regular reporting and progress and an obligation in 4.4.2 to bring to the client’s attention matters which might affect progress or costs. The co-ordination of services with other consultants and contractors is important and this is covered by 4.4.3. Clause 4.4.4 refers to statutory requirements including the CDM (Construction Design and Management) Regulation. Clause 4.4.6 refers to key personnel: When appointing a consultant, a client would often make the appointment on the understanding that certain individuals will be involved in the project. It is sensible in such cases to specify the individuals and to have a clause which makes it clear that key personnel can only be replaced with the client’s consent. Here again, the fees which are payable are inserted in a Schedule. This clause is confined to dealing with the payment mechanism. Clause 5.2 entitles the consultant to recover interest on any late payments. Our wording suggests a formula but this may be varied to refer to the base rate of a named clearing bank – e.g. 3% above the base rate of Barclays Bank. Under English law, if an interest rate is not specified in the agreement, the Contracts (Late Payment of Interest) Act allows interest to be claimed at 8% above base rate which is substantially higher than most clients would agree. Clause 5.3 requires the client to give notice if he wishes to withhold any payment that is invoiced and for that notice to be given at least some time before the invoice is due for payment. This is not only good practice but, under English law such a provision is mandatory in construction related contracts. This clause deals with the possibility of services being requested which are outside the agreed scope. So as to avoid the risk of the client being faced with invoices for extra fees when he did not expect to incur them, clause 6.1 makes it clear that an estimate of the likely cost has to be notified by the consultant and the client can then consider whether or not to go ahead with the request for those extra services. 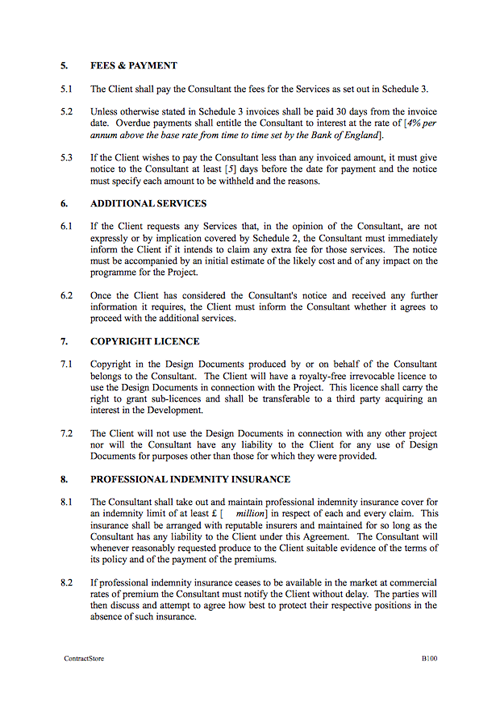 “Provided that the client pays all fees which are properly due under this appointment, copyright in the Design Documents produced by the Consultant in connection with the Project will belong to the client. The Consultant will have a licence to make use of the Design Documents to the extent agreed between the parties”. It is usual for a consultant to maintain professional indemnity insurance at an agreed level of cover – not just for the period when he is involved in the design and construction but for as long as he has a potential liability to the client following completion. If, for example, the consultant is negligent in his design and this only manifests itself 3 or 4 years after completion, the professional indemnity insurance should be available to meet a claim by the client. Because professional indemnity insurance in the UK market is renewable on a yearly basis, appropriate wording is needed that imposes the obligation on the consultant to maintain the insurance for some time after the work is finished. This is the time during which the consultant might be faced with legal proceedings. Under English Law, the limitation period is usually 6 years i.e. if no defect arises in the 6 years following completion of his services, the consultant cannot be sued for negligence. If the appointment is executed as a deed, however, this period can be extended to 12 years. It is usual for construction-related contracts to be entered into as deeds. Since professional indemnity insurance is increasingly expensive and difficult to obtain, we have included some wording designed to cater for the situation where a consultant is unable to obtain cover at a commercially acceptable rate. There is no simple solution to that situation but at least the problem has to be identified and the parties can then discuss and attempt to agree a solution. Here it should be mentioned that whether or not the consultant has professional indemnity insurance does not affect his liability. It does, however, affect the likelihood of a consultant – especially an architect in a small practice – being able to meet a claim from a client. Apart from professional indemnity insurance, it is usual for a consultant to maintain public liability insurance and employer’s liability insurance. While a client may want to assign his rights under an appointment to the purchaser of a development, it is most unlikely that he would agree to the consultant transferring his obligations to another consultant without consent. Our clause deals with this. 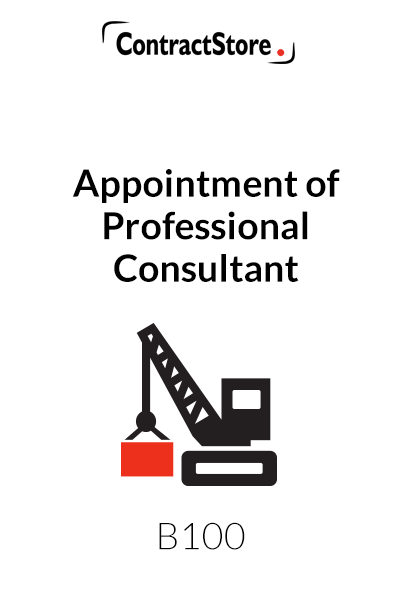 It also contemplates the possibility of the consultant’s appointment being novated to a contractor: it is common practice for an architect and some engineers to be appointed by the client and for those appointments later to be novated to a contractor who is taken on as a design and build contractor, with responsibility for developing the design begun by those consultants. In other words, the consultant becomes a subcontractor to the building contractor. Novation is similar to assignment in practical terms and a formal novation agreement is needed in those circumstances. It is usual in England and some other common law countries for a consultant to be required to provide a “collateral warranty” in favour of third parties who have or are likely to obtain an interest in the development. These third parties are usually either purchasers of the whole or part of the completed development, tenants of all or part of the development or banks or other financial institutions providing funding for the development. The purpose of a collateral warranty is to create a contractual link between the consultant and the third party who has the benefit of the warranty, enabling that third party to sue the consultant if he is found to be negligent at some later date. Under English Law, without such a provision (unless the Contracts (Third Party Rights) Act is applied) no such claim would succeed. This sets out the grounds on which either party can terminate the appointment. The client has the right to terminate at any time on giving notice to the consultant as well as in circumstances where the consultant commits a breach of the agreement or becomes bankrupt. The consultant’s right to terminate is usually confined, as here, to non-payment by the client. Because much development is of a speculative nature, while consultants like certainty if they’re entering into an appointment, the client’s right to terminate by giving 28 days notice – at least in the early stages of the project – is recommended. Clauses 11.2 and 11.3 deal with the circumstances following termination – in essence, the consultant is entitled to receive all fees and expenses that are due but the client can withhold any money against the additional costs which he is going to incur if termination is due to the consultant’s breach and another consultant has to be appointed. It is usual in professional appointments, especially on large developments, to allow for the services to be suspended – at least for a period. At the end of that period, the parties usually have a right to terminate. Suspension might, for example, become necessary if an architect is engaged for the design of a new development and there is a long delay in obtaining planning permission, during which there is no point in the architect’s services progressing. Clause 13.1 imposes on the consultant a confidentiality obligation which survives the Agreement 3 years after termination. Clause 13.2 is more specific and requires the client’s consent before a consultant issues any press releases or permits publication concerning the project. This is a fairly standard clause which requires all notices to be in writing and specifies the method for delivering notices. There is a 3-stage dispute resolution process – direct negotiation, adjudication and the courts. Under English law a party to a contract involved in construction services has a right to have any dispute referred to adjudication. The law specifies the adjudication procedure to be adopted which, amongst other things, requires a decision within 28 days from the date of a reference to the adjudicator. Adjudication is intended to be a quick and relatively cheap method of resolving disputes. If a party is dissatisfied with the adjudicator’s decision, the law requires that that decision is implemented. It does not, however, prevent the dissatisfied party from referring the matter to a higher authority – in this case, the English courts under clause 15.3. This makes it clear that English law governs the contract. This makes it clear that any previous agreements or arrangements are superseded by this agreement – a useful clause in this context as consultants often start work sometime before any formal agreement is signed. Until the passing of the Contracts (Rights of Third Parties) Act 1999, a third party that has an interest in a contract made between two others would not be able to enforce any rights under that contract. For example the end user of a building which has been constructed by an agreement between a developer and a contractor. The objective of the new law was to give rights to end users in such circumstances. As any entitlement under the 1999 Act could cause difficulties for an unsuspecting client, it is usual for lawyers to exclude the operation of the Act. In the case of construction related projects, a similar solution to that contemplated by the Act is achieved by virtue of a collateral warranty deed, as in this case. This clause should be deleted if the consultant business is not a partnership. However, if it is a partnership it is sensible to make it clear that all partners are jointly and severally liable for the obligations of the consultant under the appointment. If the consultant is a partnership, the signing arrangements will involve either all the partners or one or more duly authorised partners signing the agreement. Also, the address of the consultant at the beginning of the agreement will not be a ‘registered office’. This is to be completed with a brief description of the project and the client’s appointment brief which would normally set out in general terms the client’s objectives and broadly based requirements which are relevant to the consultant’s appointment. This should list the services to be provided by the consultant. Most professional consultants have a comprehensive list of services which would either be set out in full or, perhaps, dealt with by reference to their professional institution’s standard. For example an architect’s services listed in the RIBA (Royal Institution of British Architects) Professional appointment and a cross reference could be made. Having said this, it is usually better to list all services which are covered under the appointment in this schedule. Here again, the details need to be inserted. Some wording is given here by way of example only and will probably need to be replaced by the specific terms of the appointment. A consultant appointed to work on a project will often have a fixed fee – either a lump sum or a fee which is calculated as a percentage of the construction cost. It is also quite common for a fees schedule to contain a reference to the daily or hourly rate of different personnel even if the fee is a lump sum. In the event of additional services being required, those rates can be applied. This Schedule should be prepared so as to make it clear whether the fee includes all expenses and, if not, what expenses are recoverable by the consultant in addition to his fees. If, for example, there is substantial travel, in particular overseas, it would be useful to specify the type of travel – first class or economy – and the type of hotel or other accommodation which would be paid for. Minor expenses such as printing costs, couriers etc may also be covered here. Almost invariably, on a project of any size in the UK, a consultant will be required to provide a collateral warranty in favour of any purchaser or tenant of the completed development as well as any financial institution which is providing funds for the development. This form of collateral warranty has a useful Particulars page which will contain all the relevant details – especially helpful when there are numerous warranties to be provided. The form of warranty follows the pattern which has been established within the construction industry. Clause 2 contains the basic obligation on the consultant to exercise reasonable skill and care. Clause 3 deals with deleterious materials. Such a clause is usually included in these documents although it is, strictly speaking, unnecessary when the point is already covered under the Consultant’s appointment. Clause 4 gives the beneficiary of the warranty a licence to use design documents – useful, for example, where the beneficiary is a purchaser or tenant. Clause 5 underlines the obligations on the consultant to maintain professional indemnity insurance for so long as he has any potential liability under the appointment. Clause 6 is a “Step in” clause. This is arguably of more benefit to the consultant than the beneficiary. Usually only included where the beneficiary is lending money to the developer, this clause provides for the situation where the consultant wishes to terminate its appointment because it has not been paid. In such a situation, the consultant is required to give notice to the beneficiary who then has the right to step in i.e. take over the appointment from the client including the obligation to pay the consultant. If the client goes bankrupt, a lender will want to see the project completed and this clause helps him to achieve this. Clause 7 is an assignment clause. Partly because of restrictions imposed by insurance companies on the terms of professional indemnity policies, it is usual for the assignment of the benefit of a collateral warranty deed to be restricted to a maximum of 2 assignments. Clause 8 contains a standard notice provision. Clause 9 stipulates the governing law and specifies that disputes will be referred to the courts.